Do you remember the transmogrification device from Calvin & Hobbes? How about the many attempts at the transmutation of lead to gold, or the transfiguration magic of Harry Potter? Why was Jesus transfigured, and not transmogrified? Because these are extremely important distinctions, I went on a harrowing quest through the Oxford American Dictionary to find the differences. Transmogrification is a real word, and it refers to a change of form of surprising or magical nature; if a gnome suddenly turns into a bipedal beetle with ape arms, that would be transmogrification. Its roots are somewhere in middle English. This is as opposed to transmutation, which is defined simply as "a change in form, nature, or substance," and seems to have a much more utilitarian usage. Transfiguration is a change into something more beautiful or elevated than its previous form, and is more appropriate for the art and spirituality realms. I know there has been a lot of confusion about this all over the English-speaking world, so I propose an easy fix: all three words will be condensed into one, easy to spell and pronounce: Transmogrifigumutation. Or, transformation for short. Continued Comments on "Room for Debate"
In a continuation of our response to the New York Times' Room for Debate about the shifting path of fiction, Alec weighs in. You can read Ellyne's response here. Is fiction changing, for better or worse? Of course fiction is changing, as any art form does. I think of fiction as a series of ever-expanding balloons in an infinite bubble of experience; many writers have the literary lung capacity to continue to fill them, though not all do. What is a novel's purpose, then? Jane Smiley references their ability to provide an exercise in "freedom and empathy," Thomas Glave sees them as opportunities "to experience other people's stories," William Deresiewicz recognizes them as compilations of "the atlas of private experience," and Robin Sloan sees them as cultural time capsules. However you want to put it, novels push the envelope of our thoughts in directions that no other media can. "This may not be the best of times for fiction, but it isn’t the worst, either," claims William Deresiewicz. Perhaps we are in the middle of fiction's stagnation into mediocrity, but I am sure it is neither the first nor the last time this has occured. Is it because the rising generations have shorter attention spans, as many have referenced? I doubt it, as I have seen very little evidence of this besides sabre-rattling. Perhaps it has more to do with the recent downturn in the economy and the general depressed nature of current events; this leaves little room in our brains for new ways of thinking (and, as Matt de la Pena says, we are "terrified of sadness and self-reflection, and we actively avoid ideas that challenge"), so we gravitate towards the easy and the comforting. Thus, those who control what's available to read, in the interest of staying in business, play the industry conservative and publish novels that break little ground because that is what we are saying we want. This is much like Hollywood and television producing fewer films that break the mold with polarizing things like interracial relationships and homosexual characters when times are tough. Can we actively break this stagnation, then? (Should we? Is consciously changing the direction of an art akin to censorship?) James Gunn advocates science fiction's place as a genre for expanding the mind, seemingly at the exclusion of everything else. Even as a fan of sci-fi, I was caught trying to wrap my head around exclusionary mind expansion. Still, a more moderate position in the same vein could be that, during times of mainstream stagnation of the novel, looking towards the fringe, the "new weird" (see Jeff Vandermeer and China Mieville), the areas that are not traditionally as constrained, could lead to a revivification of the novel and the expansion of those balloons. If we are indeed experiencing a stagnation. 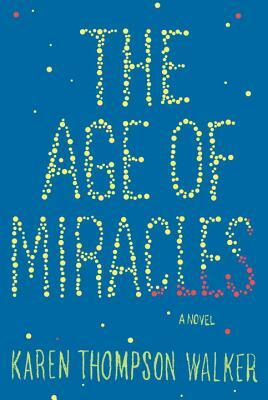 Read more about Continued Comments on "Room for Debate"
Karen Thompson Walker's debut novel, The Age of Miracles, has been generating a lot of buzz in the industry for the last few months, hitting the larger fiction circuits but also courting the speculative and science fiction crowds. If you don't believe the hype, here's what Ev has to say about it. Comments on "Room for Debate"
A few weeks ago The New York Times’ Room for Debate posed the questions: Is "summer reading" now just "reading"? 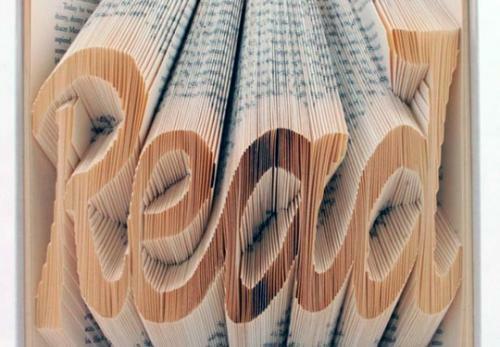 Have novels become more entertaining, and less of a cultural touchstone or a political voice? I read every opinion and came away tilting my head and making strange faces. Jane Smiley, the only woman on the panel, and why was that, talked about the freedom to imagine and contemplate, and how reading novels gives readers the opportunity to “see the world through alien perspectives.” William Deresiewicz was poetic. Here I’m paraphrasing: fine writers are still writing, but sometimes it takes us a while to recognize them and while we are working on that, the novel continues to tell us stories, in many forms and many voices. James Gunn set up a lightening rod when he attacked Henry James saying no one reads his “literary” novels and generally skewering almost all contemporary literary novels. The more social and political the theme of the book, the less literary the book, he says. Huh? Name one book that challenges that. I’ll begin with any of Edgewidge Danticat’s novels. For social commentary he suggest reading crime novels or science fiction. I’m not going to summarize everyone’s statement (you can read this Room for Debate online), but Matt de la Peña hit a real nerve, I think. We don’t want to be sad or self-reflective. “Life is sad, man,” he writes, and it is part of life to have “bouts of melancholy”. He mentions other media and shorter attention spans, but I wonder if it isn’t about the world being too much with us, not getting and spending necessarily, but just too much work, too much news, too much media, too much sadness, too much, too much. We so often have no mental space in which to rest. Lighter novels provide that, yes, year-round. At the moment, I’m reading Teju Cole’s Open City and it’s taking me some time because it makes me sad. It’s well written – dare I say literary – and the writer’s intelligence is apparent from the very beginning, and I love that. A good book and a good read, but not right before I go to sleep. For that time, I do need something different. Is this okay? Definitely. We chose books that are right for the moment. If, however, there is never a moment for more challenging reading, what does that say? Read more about Comments on "Room for Debate"
Did you know we host book groups here at the Bookloft? We meet at the store one evening a month, and members receive a 10% discount on any book the group selects. Right now, we are starting a new group! If you're interested in joining, call or email us with your contact information and your best night to meet (Monday, Tuesday, Wednesday, or Thursday). If you have a book group already, ask us about book recommendations and discounts for your club. 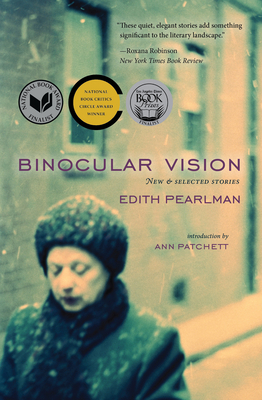 About a year ago a customer whose reading preferences coincide with mine told me to read Binocular Vision by Edith Pearlman. The bedside pile, however, was as tall as a year, so I am just now passing this recommendation on to you. After reading the first story I needed to wait a bit before starting the second. It was just so rich. Same for the second and the third, but after the fourth story - well, it was like eating potato chips: I just couldn't stop. Each story reflects this author's ability to create whole worlds and lives that feel so real; and she does this with grace, and with compassion for our very human frailties. Don't miss this one, even if you usually shy away from short stories. We've got some new staff picks incoming, so I'll cut to the chase. About Bring Up the Bodies by Hilary Mantel, Lauren says: "Such a pleasure." And I found one of Jeff Vandermeer's earlier works quite enjoyable; City of Saints and Madmen is "a singular labyrinthine enigma built of exotic people, enchanted fungus, and sensuous horror." Finally, Christina's first three picks are up, so check and see if she shares your interests! Home by Toni Morrison "is the newest haunting and original work from the grande dame of contemporary American fiction," and that Role Models by John Waters "made me feel warm and fuzzy." Read more about New Staff Picks! I'm sure you, like I, get into a so-called "reading rut" from time to time. I've found this often accompanies other trials in life; for me, moving home and building the beginnings of a career took up much of my time. Months passed with little temptation to commit a significant amount of time to reading. Excuses weaved themselves through my head and when I did try I found it difficult to concentrate. How could I justifiably claim to love reading if I could barely do so? With so many interesting titles coming up in June, could I afford to have them ruined by this literary funk? And so I challenged myself. I had a week with very few commitments. I would use that week to read - and not just read, but read a book every day for the entirety. I gave myself a few rules: the books had to be at least 300 pages long; I would keep it to books marketed to adults; and I was allowed to read ahead in the next day's book if I finished early. So I sat down on Tuesday morning, May 29th, before work and began reading Gateway by Frederik Pohl, and finished it later that evening. I enjoyed it as I hadn't enjoyed a book in a long while. It was fantastic, and reminded me of exactly what I could find between book covers. A weight had been lifted from my conscience, though I had not even been aware I was feeling any sort of guilt; looking back, it must have been guilt borne of ignoring friends. Old friends, some of them were. I caught up with the characters I loved nestled within Timothy Zahn's Quadrail series, and some new ones from across the time and genre spectrum. The healthy mix of known and unknown was key to making it through the week. Seven days and seven books later, I feel light and refreshed. I suppose the point is that, if life is closing in, never underestimate the value of escaping it all. Make time to read, set a goal. You never know where you'll find yourself at the end. I was alerted, also, that this is hardly a unique idea. Nina Sankovitch read a book a day for an entire year as a method of grieving, and wrote Tolstoy and the Purple Chair about her revelations. Consider it on my list. We're in the middle of reformatting our website, so hang on! Big changes are coming! In the meantime, you should still be able to shop using the links on the top of the page. Thanks for your patience!